What can I do to save Pluto? Who is keeping this blog? 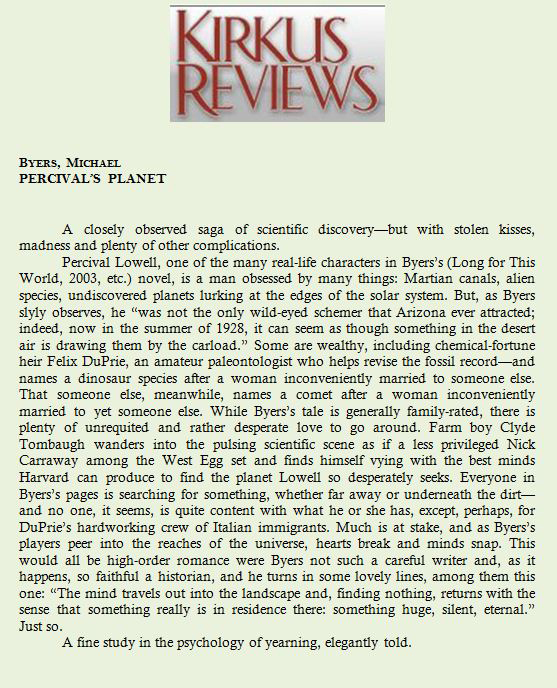 All about Clyde Tombaugh, the discovery of Planet X, and the business of hunting for the invisible. It’s interesting to me how every review so far touches on something different — the Italian crew getting a nod here, for example. I liked them, I liked writing them. They were always hanging around, making remarks, then sort of drifting off when they were no longer really needed.